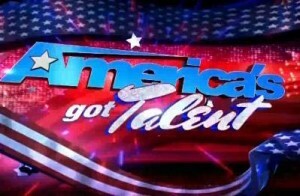 America’s Got Talent is one of the hottest reality TV shows around at the moment, and people enjoy spicing up their viewing of the show by betting on who they think is going to be eliminated every week, as the talented and not so talented contestants go for the $1 million first prize. As with seemingly all successful reality franchises, the concept was developed by entertainment mogul Simon Cowell but he has never appeared as a judge on the show, but that’s about to change as NBC have recently announced the Simon will be judging season 11 in 2016. Unfortunately, it seems as though this year no bookmakers are interested in offering odds on AGT 🙁 That seems like a waste, as there are hundreds of people visiting this page every day looking for the latest odds. Note: I have contacted the site featured below [09/01/2016] about offering an AGT market as they’ve done in previous years, so make sure to check back as I hope they’ll do something for us in the next few days. If you fancy betting on anything else, we recommend the following site, but for now it looks like your won’t be able to gamble on AGT. We’ll let you know if this changes though! Number of X’s: If an act gets four yes votes from the judges, you can be sure that they have a good shot at making at least the live shows. Listen carefully to what the judges say about them. Don’t be too put off if the judges have one or two negative comments, as its often the case that acts which have something to work on and improve over the course of the competition win the public’s heart and do very well. Audience reaction: If an act gets a particularly raucous reaction from the live audience or a standing ovation, chances are they’re going to do very well. Once you’ve been watching the audition shows for a while, you’ll see a pattern and be able to gauge the audience’s reaction well. Las Vegas week is your second chance to see the acts in action. This will give you a good idea of whether they’re adaptable and dynamic of if they’re one trick ponies. If you see an act that you think can put on a great and varied show each week, you should be on them. Acrobatic dance troops are usually very good value at this stage of the competition. You should beware of animal acts like dog trainers. Though these look great and are cute, they can become boring quite quickly if they don’t wow the crowd with new tricks every week. Animal acts have a tendency to peak too early on AGT. By the time the live shows come around, you should have a few picks made and you should stick with them for the rest of the series. As the shows go on, sportsbooks generally have things very well priced up and it’s hard to find any real value. When looking at the best acts to bet on, you should have a look at the previous years and see what type of acts have done well. In the early years of the contest it was dominated by child sensations and novelty acts such as ventriloquist Terry Fator and clogging group All That. More recently, singer songwriters have seen more success. Remember that young women are doing most of the voting on these shows and so male singers are likely to do well. That’s it really. Hopefully we’ve armed you with the tips you need to successfully make some money with America’s Got Talent betting!